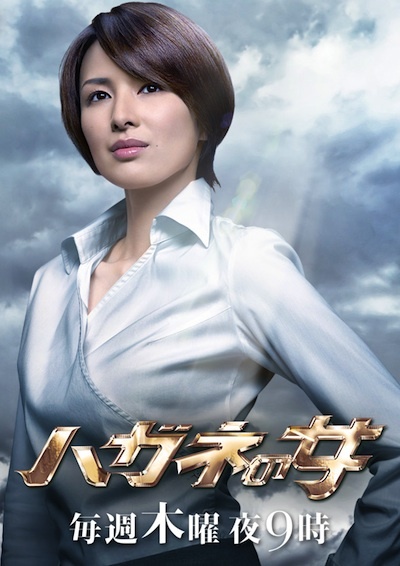 "Hagane no Onna" ("A Woman of Steel") is a drama that had its first season shown during the 2010 Summer TV season on TV Asahi. Its second season aired from April to June 2011. It stars the lovely Kichise Michiko as Haga Ineko (nickname: 'Hagane' which means 'steel'), a former teacher who after suffering from a broken heart decided to return to the classroom. The challenges she faced enabled her to renew her strength and sense of purpose as well as changing the lives of her students and the people around her. No uploading in streaming sites. No reposting and hardsubbing of subs. Subber's Diary entry#19: Hagane 2 is complete! Goodbye to Season 2's Class of 4-4 and their Senseis! If you like the lyrics of the song, then you should watch Hagane 2 or at least the 1st episode, since they based the lyrics on parts of the episode. I mean, the song makes more sense if you get to watch it. Nihongo lyrics can be found HERE. Senpai Marii-chan, the former queen of last season's Class 4-3, is growing up to be a wise, taller, and prettier young lady. Last episode is airing tonight. From what I could discern from the preview, Hagane will be leaving probably going to the Netherlands to be with her fiance. But it's just a hunch. I'll be releasing the last subs very early 'cause I'll be finishing it quick since I'm excited to find out about the ending. Episode title for #7: "Family Matters...Don't Give Up" deals with a child's (Haruka) reaction to her parents' pending divorce. Haruka is the proud 'queen' of the Aikawa girls, and this difficult chapter in her life forces her to reassess her harsh treatment of Natsuki whom she teases for being 'motherless.' Meanwhile, Natsuki happily reunites with her estranged mom but with painful consequences. It has just been announced that next week's ep. 9 will be the last episode!